The rumour mill has been alive for months with suggestions that comedy legend, Robbie Coltrane, will take on the role of Deloris in the final instalment of the Sister Act trilogy. 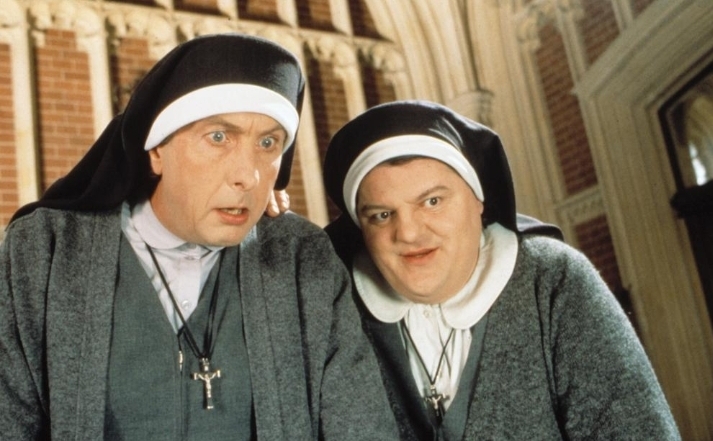 Coltrane appeared to validate those rumours earlier today after posting a picture of himself with Eric Idle (reportedly replacing Maggie Smith) dressed as nuns on Twitter. Human rights protesters have also organised a demonstration outside Pinewood studios in an attempt to halt filming later this week.